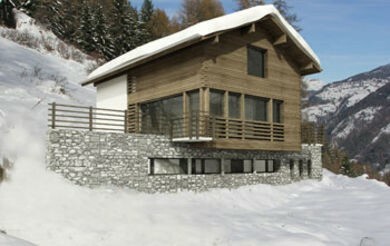 Owning a chalet in Switzerland has long since been a symbol of prosperity and personal success. Over the past four decades, over 400,000 of such properties have been built – this is now a thing of the past. In May 2013, a law was passed which limits construction of new properties in those regions where the number of recreational properties constitutes more than 20 % of the overall built up area. The Swiss are afraid that further construction development could mean spoiling the untouched alpine landscape. Owners of recreational properties in Switzerland are the target of criticism in Switzerland, because they leave their houses and chalets stand empty for most of the year. Towns and villages want to prevent their picturesque alpine settlements from turning into “ghost towns” where visitors are welcomed by closed shutters, empty flower boxes and locked doors. According to some studies, the law limiting construction will most significantly affect the regions of Valais, Graubünden and Ticino. The growth in property prices in Swiss alpine resorts has not hung around waiting – just over the past few months, property prices have grown approximately by 15 % and growth is far from stopping. 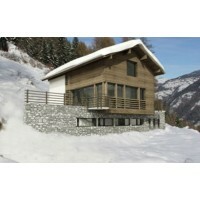 Prices are now so high in any case, with one square metre in the best Swiss regions costing almost 20,000 US dollars. In contrast, chalets of the same quality in top French and Austrian resorts can be bought at prices from 4,000 dollars per square metre. Alongside the rise in prices, the construction ban could also help growth for hotels and pensions which can expect a rise in demand for accommodation. Even despite the constant strengthening of the Franc, a great boom can be expected in this sector.